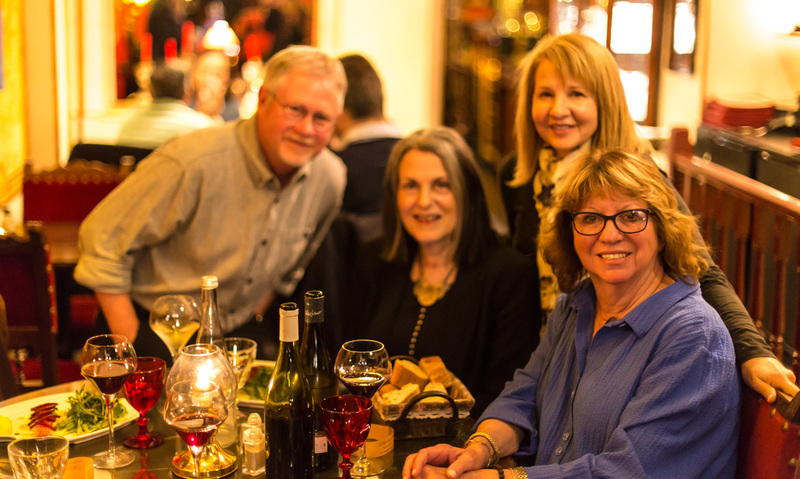 Before I left for my weekend in Paris, I read about a restaurant on the rue Montorgueil that sounded good, so I headed for that. Unforturnately, when I got there, there were no customers and the staff didn't seem interested in having any. So I looked elsewhere. The view from my table. I had a steak and potatoes, a salad, and a bunch of wine. The waiters were friendly and animated. Such fun! I found this place, le Compas, just a block or so away. It looked inviting, and had an ringside seat to the flow of people on the street. This is the street very close to where Ken lived in 1981 when I was a student in Paris. I had many a good time near here, but it was very different from what it is now. Another view from my table, with the historic Patisserie Stohrer bakery across the street. 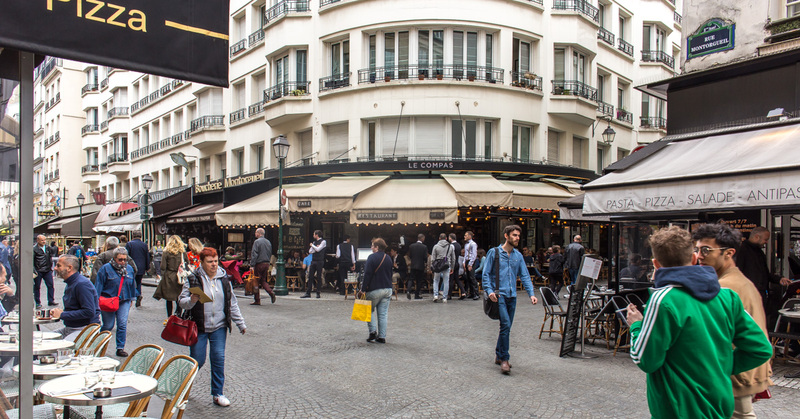 The neighborhood is called Les Halles, named after Paris' historic central marketplace. The market was closed in the 1970s and moved out to Rungis in the suburbs. The neighborhood was renovated to be a commercial entertainment center with a large underground shopping mall, multiplex movie theatres, and a large network of pedestrian streets lined with shops and restaurants. 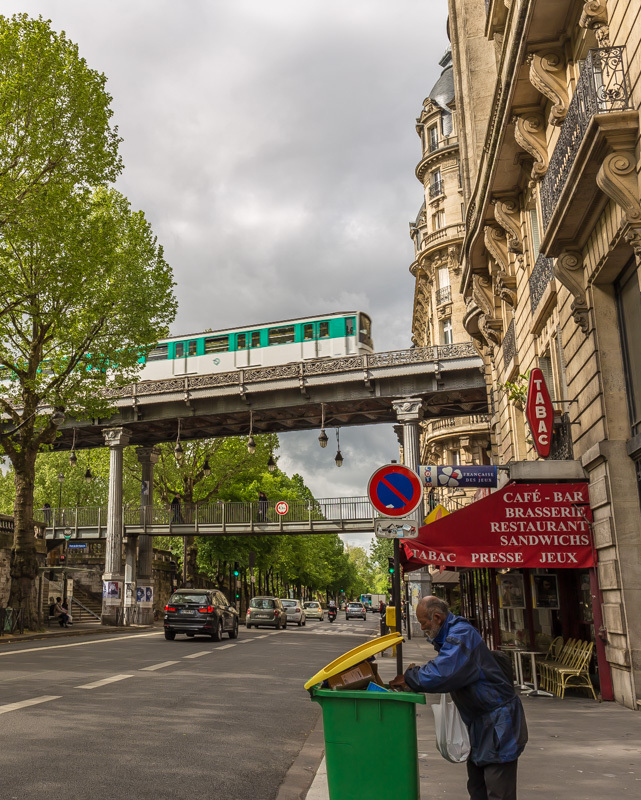 It's also at the hub of the métro and RER transit systems. A view of le Compas from across the street. There were a lot of people out and about that afternoon. 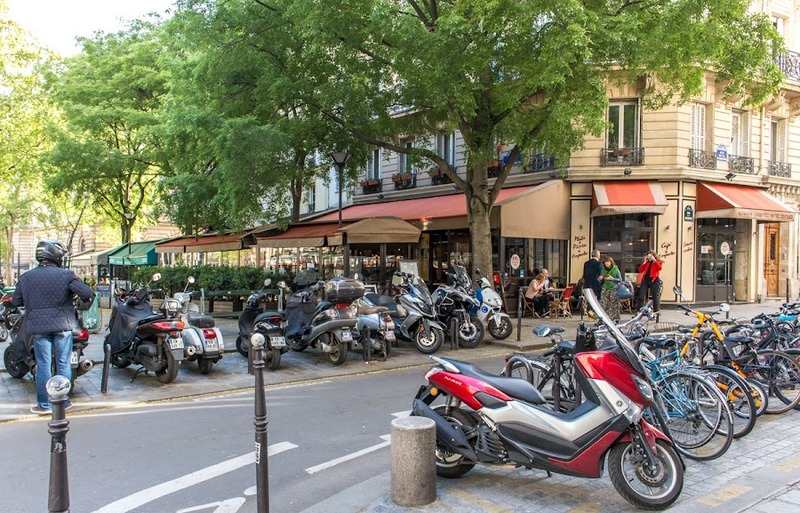 The rue Montorgueil runs north from Les Halles and has become a very popular pedestrian street. Many of the old neighborhood shops and restaurants have given way to more touristy and trendy places. Still, it's worth visiting. Especially to remember that we "knew it when." This is truly a multi-modal bridge. It carries pedestrians, cyclists, cars, and subway trains on its two levels. It connects both banks of the Seine to the Ile aux Cygnes, a narrow artificial island in the river, now a park and open to pedestrians. The bridge was named for a World War Two battle in Lybia. If you've seen the movie "Inception" with Leonardo diCaprio, this bridge figured in one of the Paris scenes with him and Marion Cotillard. Pedestrian access to the bridge from the Right Bank. 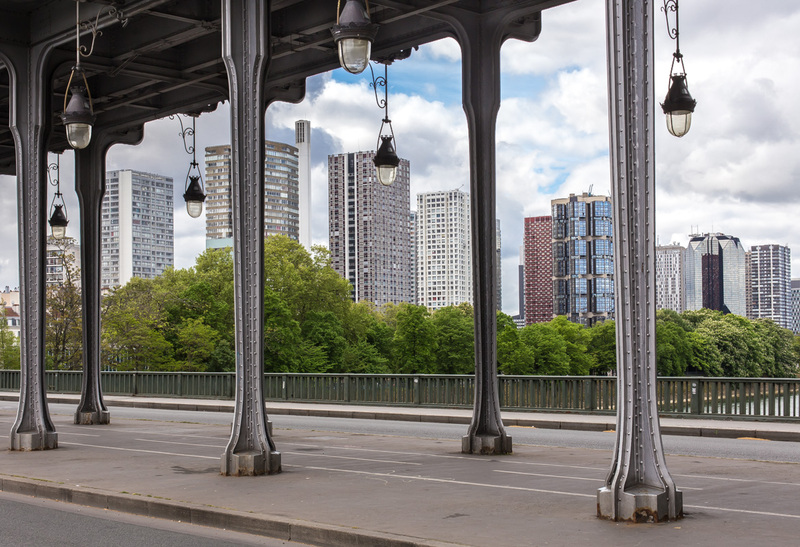 I walked across the bridge toward the Left Bank and the Bir-Hakeim métro stop that many visitors use to get to the nearby Eiffel Tower. Along the way, I was surprised at how many young couples where posing for wedding pictures for professional photographers. Most of the couples were Asian and I could tell that a good number of the photographers were American. I guess the Eiffel Tower makes for a romantic background. I wanted a photo of the métro passing over the Bir-Hakeim bridge, but I wasn't fast enough when the first train I saw went by. So I waited, taking time to set up the photo and camera settings before the next train. In the meantime, this man wandered into the shot and opened what I think is a recycling bin on the sidewalk. He wasn't in a hurry as he picked through the top layer, so there he is. The French version of dumpster diving? He paid no attention to me. I continued on to the bridge and up the stairs to the pedestrian walkway on the lower level. I arrived at the Chaillot palace at about ten o'clock and walked up to the entrance to the architecture museum, one of several museums in the sprawling building. Then I saw that it didn't open until eleven. I suppose I could have hung out in a café for an hour, but instead I decided to visit another museum in the same building. People love to take photos from this spot. I'm no exception. It was the museum of man, an archeological and anthropological museum about the history of humans. They also had a special exhibit about Neanderthals. It was all mildly interesting and then I was out of there. This one has a little part of the Palais de Chaillot in it. 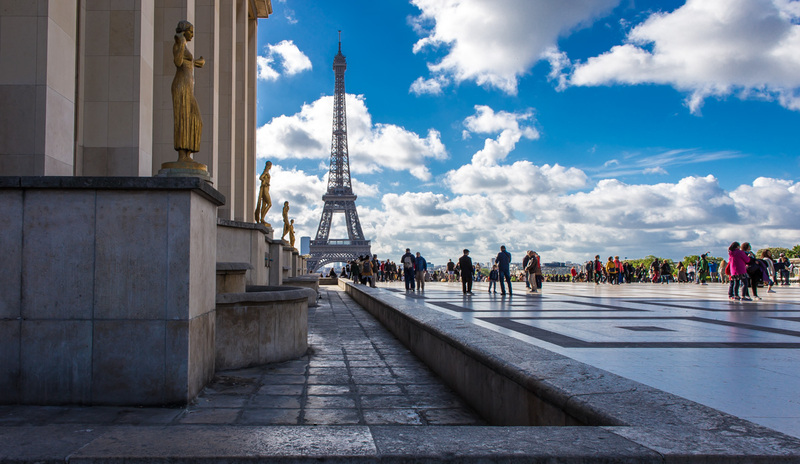 So here are two photos of the Eiffel Tower taken from the terrace of the Palais de Chaillot. I like the first one best, but I also like the second one, so you get them both. I wasn't the only one out for a stroll early that Saturday morning. Well, the pigeon wasn't really strolling. It was more like jogging. And I don't jog, so it passed me soon after I snapped the photo. The next time I'm in Paris, I should try to take photos of these places in the evening. This is a little restaurant (it says bistro in small print under the name) on the Place du Docteur-Félix-Lobligeois in Paris' Batignolles neighborhood. 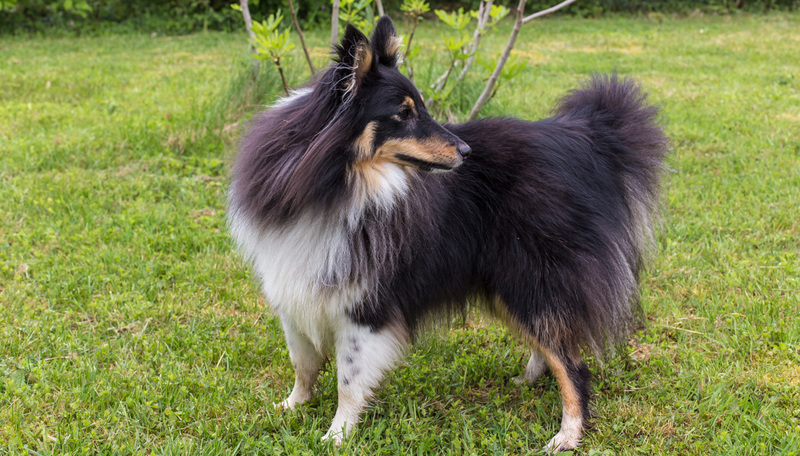 The name, Le Tout Petit, translates as "the little (or littlest) one." I don't know why it's called that, except that the restaurant looks a lot smaller than the other eateries around it. I looked at their web site and Facebook page, but I didn't find anything about the name. Mea culpa. I misidentified one of my own photos on Saturday. Those two "quiet cafés" were actually a few blocks from where I said I was. They're across the street from the Mairie du 17eme on the rue des Batignolles. Today's photo really is from the Place du Docteur-Félix-Lobligeois, across from the western side of the Sainte-Marie-des-Batignolles church. I think the place is called "Fuxia." This cantina was not open yet. I found out on the internet that it's one of a chain of Italian restaurants called "Fuxia." This one opens at noon -- it's a lunch/dinner place. But there were people inside cleaning and setting up, and I can see a mop and bucket propped up against the wall next to the entrance. 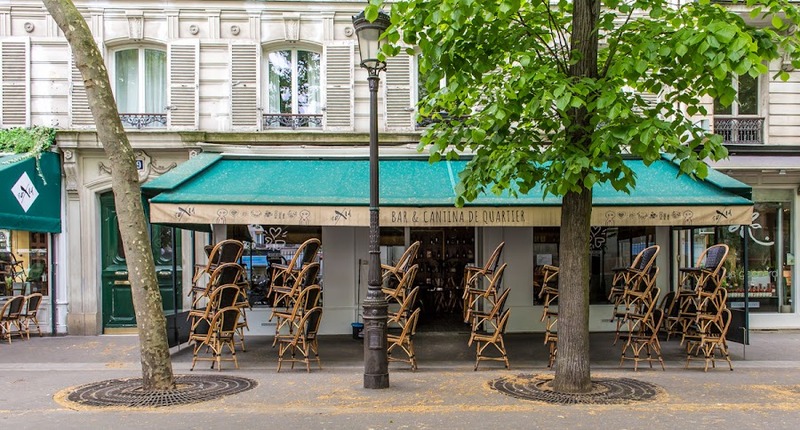 Given the way the chairs are stacked, I'd guess that someone was getting ready to mop down the terrasse. As I approached the Square des Batignolles along the rue des Batignolles, in the quartier des Batignolles, I passed the Eglise Sainte-Marie-des-Batignolles. That's a lot of Batignolles! 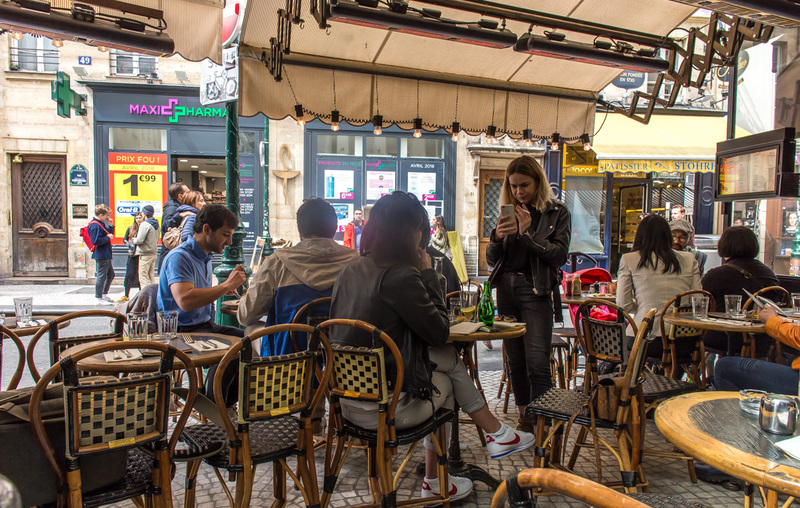 The street turned around to the west side of the church where I found a wide tree-lined sidewalk and several cafés, restaurants, and brasseries. It was three weeks ago today that I was here. This one block-long street is called la place du Docteur-Félix-Lobligeois -- named for a former Paris city councilman and pioneering radiologist. Oops! I screwed up. These two cafés are on the rue des Batignolles. Given the hour, many of the places were closed or just starting to open. A few had breakfast customers. This is not a neighborhood filled with tourists, but one that's more residential. 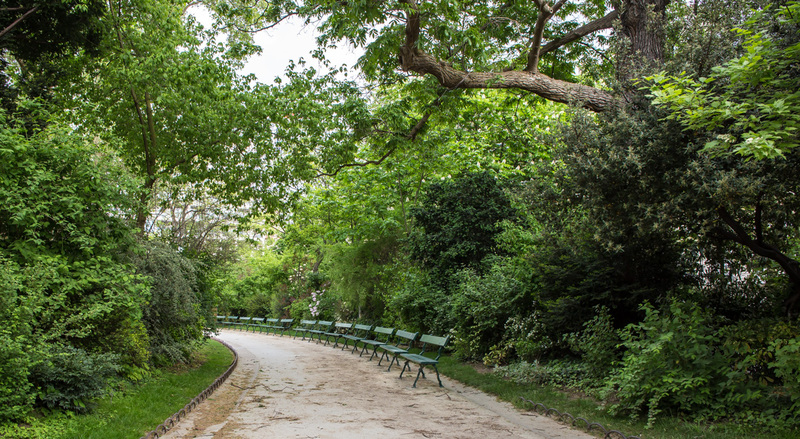 The closest "big" attraction is the Sacré Cœur basilica and the surrounding Montmartre quarter, and that's a good half-hour walk from here, uphill. Still, I'll bet these places are bustling in the evenings. 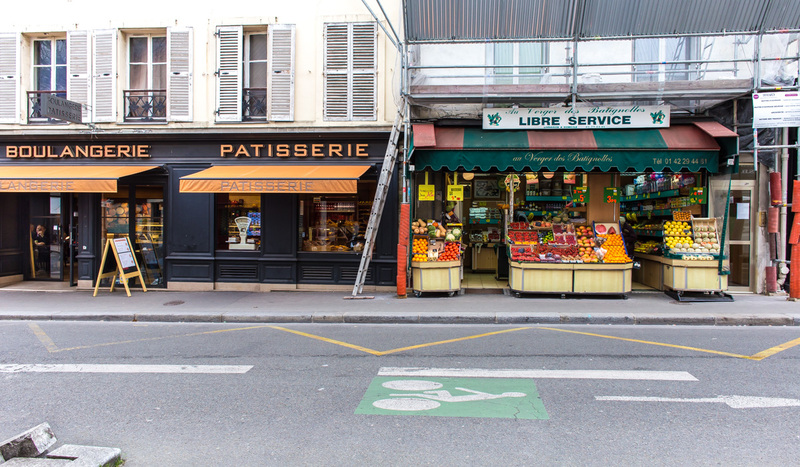 Here's a little commercial street in the Batignolles quarter up in Paris' 17th arrondissement. After looking at a map here at home, I noticed that the street is longer than I thought it was when I encountered it. 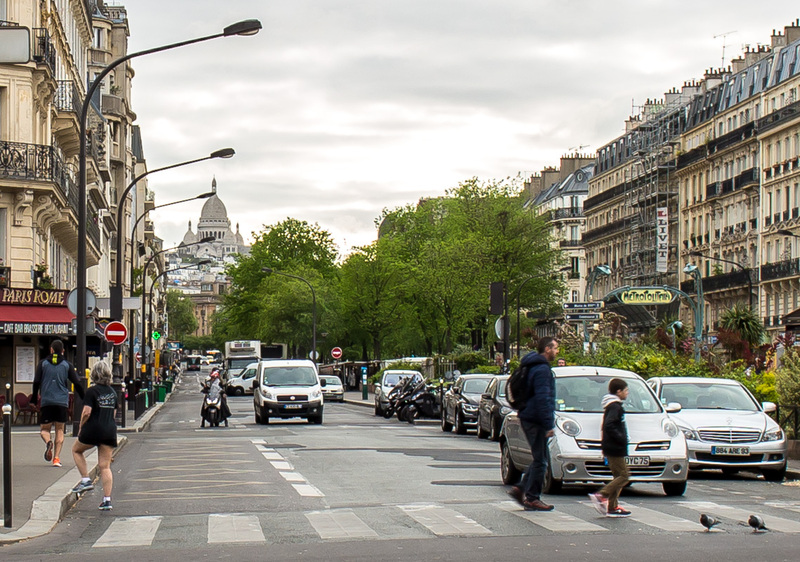 I only walked along for a block or two, but it runs from the Avenue de Clichy over to Villiers. There were a few people out and about, but most of the businesses were not yet open. 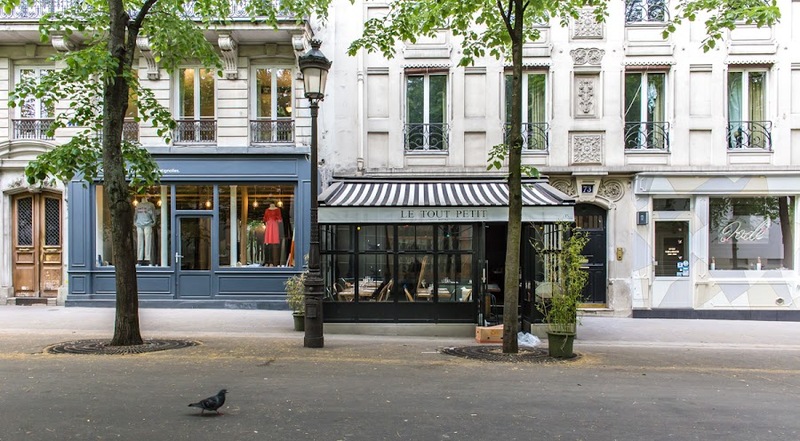 I turned up the rue des Batignolles (not to be confused with the boulevard from yesterday's post) and headed toward the square of the same name. Along the way I passed some bakeries, groceries, and cafés, all very quiet with few customers so early in the morning. An interesting point: those bollards that line the street might look funny at first glance, but what they do is prevent cars from parking on the sidewalk. Without them, the street would be clogged with parked cars. I like it this way. At least they do in this neighborhood. The subway stop is called Rome, and I'm standing on the rue de Rome looking across the railroad tracks that lead to the Saint-Lazare station. 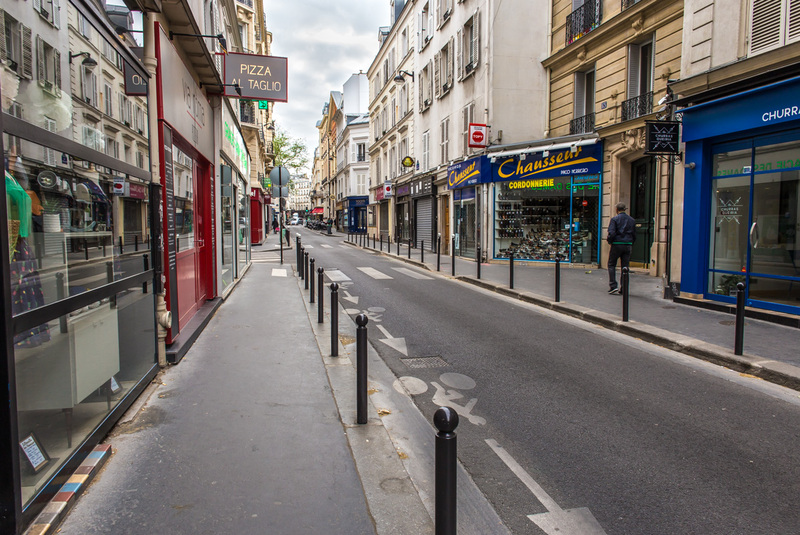 The opposite street is the rue Boursault, and the street that crosses the tracks is the Boulevard des Batignolles. The edge of the Batignolles neighborhood on a quiet Saturday morning. My Saturday morning walk took me across that bridge and into the Batignolles neighborhood that borders on the tracks. It's a very residential neighborhood and quite fashionable these days, from what I understand. I took this photo at around 9:00 am and things were quiet and peaceful. I noticed neighborhood grocers opening up their stores and a few cafés with a customer or two, but most places were still closed. Vendors were busy setting up their market stalls in the median of the boulevard, but I didn't see that until I walked back around. My Paris-weekend hotel was up behind the Saint-Lazare train station. The station is listed as one of the busiest train stations in Europe, the second busiest station in France after the Gare du Nord. On Saturday morning, I got out early for a walk and the first place I went was to the Place de l'Europe. 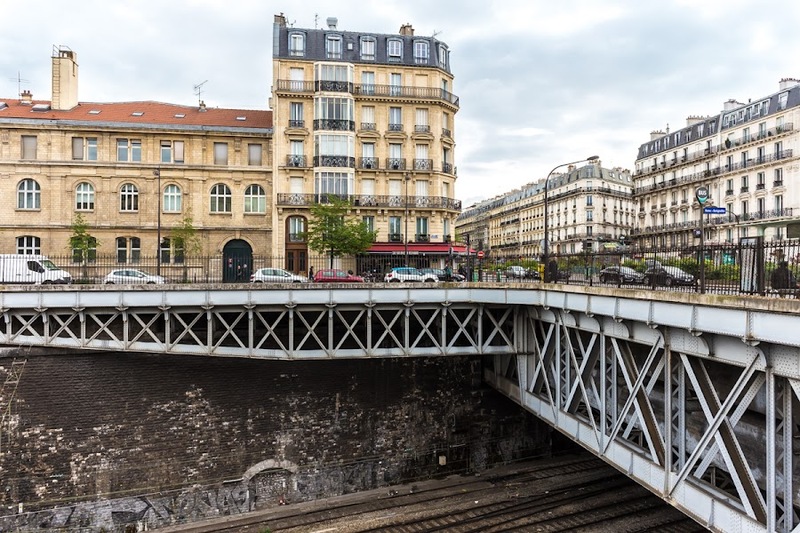 It's essentially a bridge over the tracks behind the Gare Saint-Lazare. 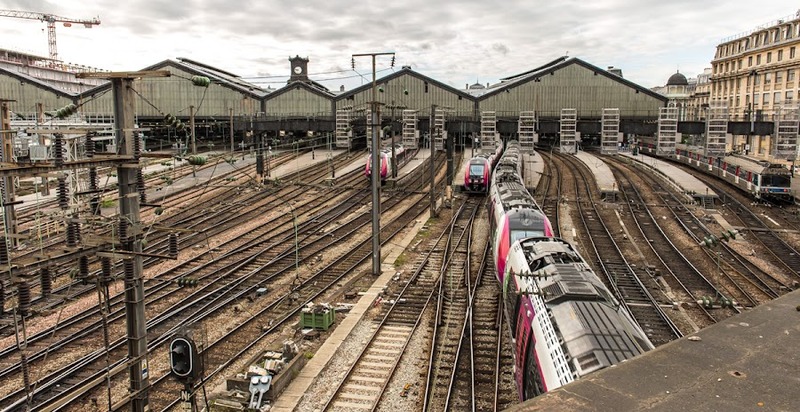 The back-end of the train shed at the Saint-Lazare station. Being the train nerd that I am, I had to take a picture of the back-end of the station. There wasn't very much activity, it being early on a Saturday morning and a strike day to boot. But still. 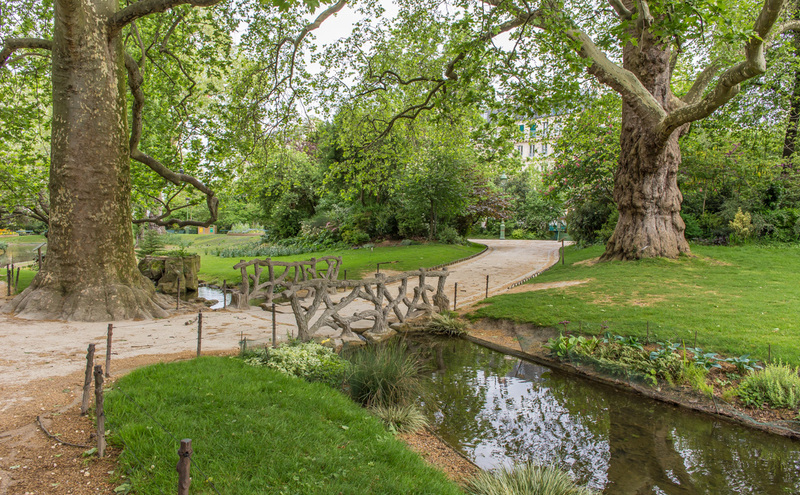 My nerdiness was satisfied and I moved on toward the nearby Batignolles neighborhood. I walked through the Louvre's Cour Carrée (Square Court) on the way to the subway and back to my hotel. It was still Friday evening, on my first afternoon of the Paris weekend. I was scheduled to meet up with my friends at 8:30 pm, after their orientation meeting and group dinner. Their hotel was a few subway stops from mine. The passage through the Pavillon de l'Horloge on the west side of the court leads into the Cour Napoléon and the famous glass pyramid that is the museum's "new" entrance. My camera says that I took these two photos a few minutes after 7:00 pm. The sun was still shining brightly. Being as far north as it is, Paris has nice long days in summer. Conversely, the days are very short in the winter, but we won't think about that now. The North and East Wings, with the Pavillon Marengo (left) that leads out to the rue de Rivoli not far from the Comédie Française theater. 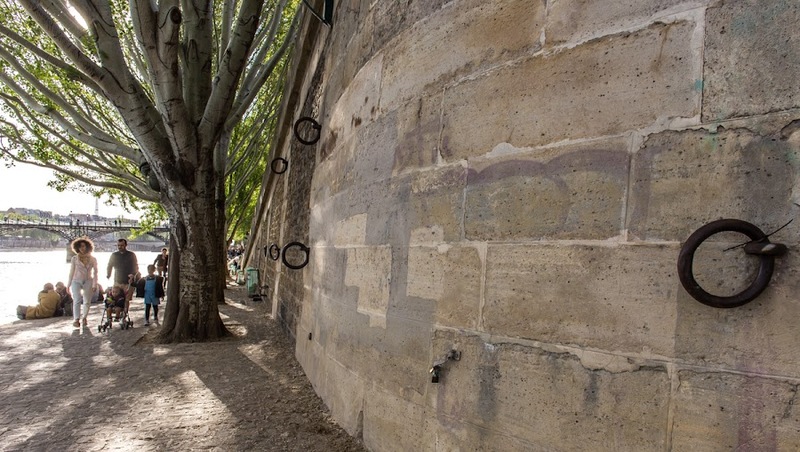 The Cour Carrée was built on top of the ruins of the old medieval castle of the Louvre. Visitors to the museum can venture underground and view the restored foundations of the old castle, and we did that one year. 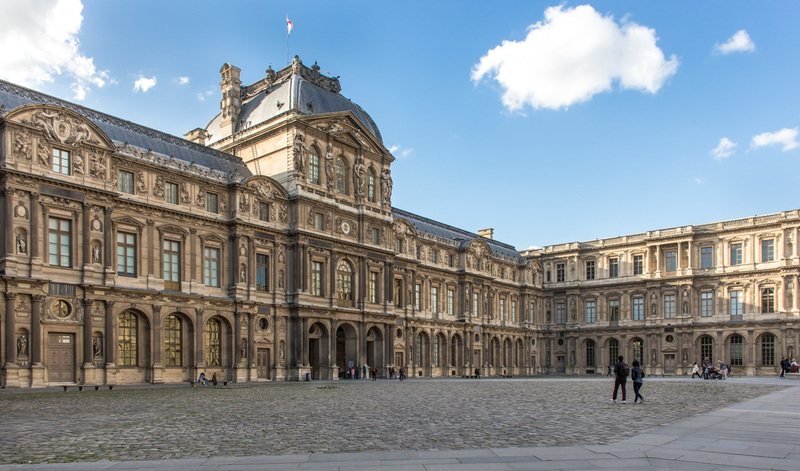 The current buildings that enclose the Cour Carrée were built in stages between the 17th and 18th centuries. They make up just the eastern end of the sprawling Louvre complex. 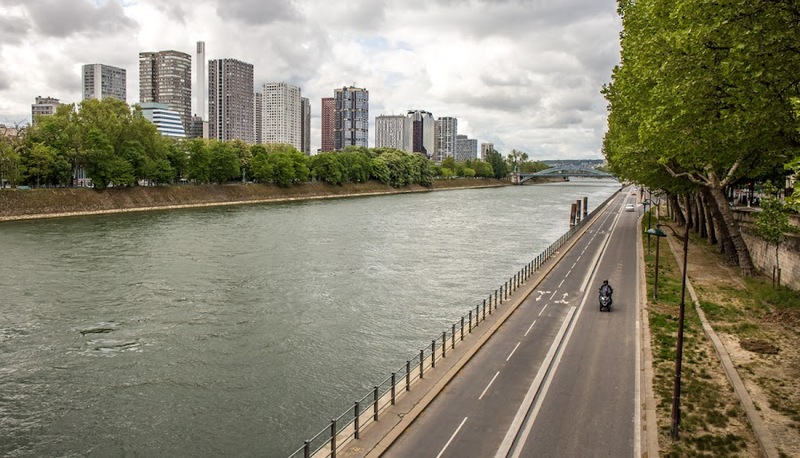 There are places along the right bank where the expressway runs at street level, diving below bridge approaches and rising up again on the other side, places where the road lanes run under the street above, and still others where the lanes run at river level. At this point on my walk, the roadway disappeared beneath the street for a while. The roadway has turned underground and the pedestrian path narrows alongside a ramp up to the street. That's the Pont des Arts in the background, and if you look closely you can see the Eiffel Tower off in the distance. 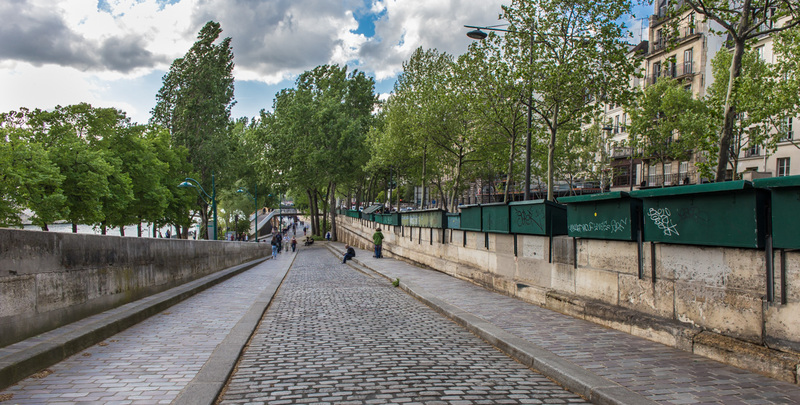 The pedestrian promenade along the river continues, but I climbed up just beyond the Pont des Arts and headed toward the Cour Carrée at the Louvre. It was getting to be time to freshen up at the hotel before meeting my friends for a drink. For those of you keeping score, this photo is out of order. This spot on the walk comes before where I was for yesterday's post about the Pont des Arts. One from upstream, the other from downstream. 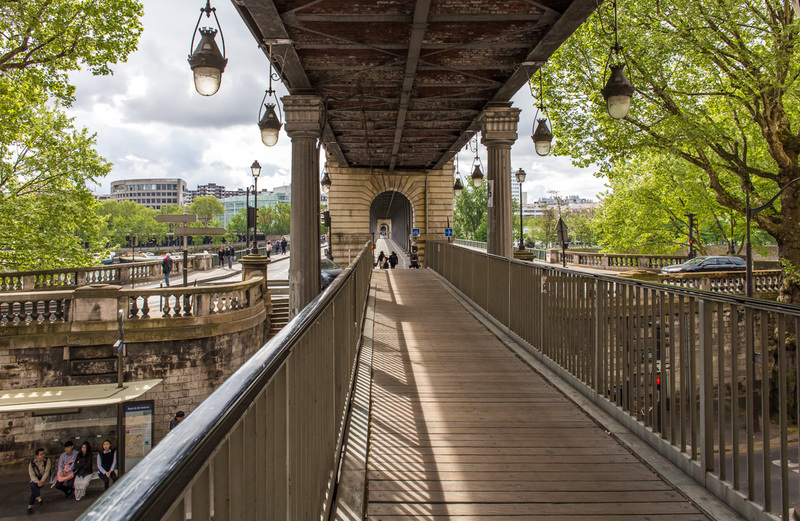 This is the Pont des Arts, a well-known pedestrian bridge that connects the Louvre on the Right Bank with the Institut de France on the Left Bank. Until recently, this is where people would attach "love locks" to the bridge's railings. The city cleaned them all away in 2015, citing the danger that the weight of thousands of padlocks posed to the bridge structure. And they were ugly (IMHO). 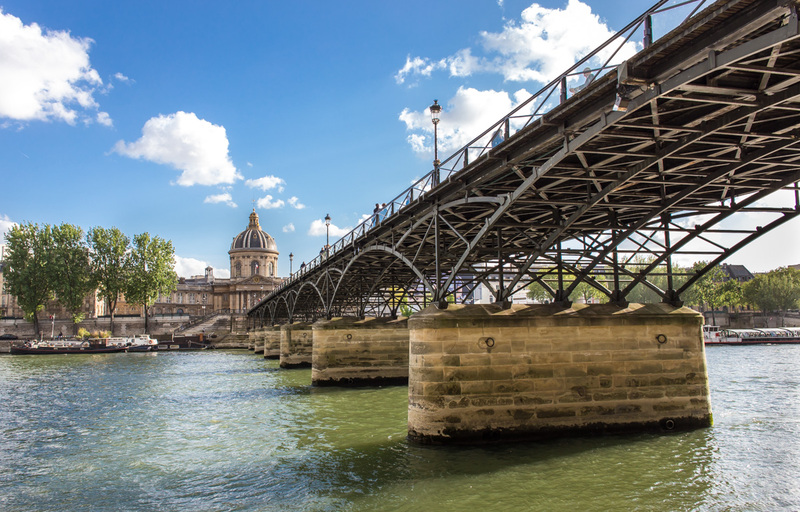 The Pont des Arts, the first iron bridge in Paris, and the dome of the Institut de France, seen from just upstream of the bridge. The bridge, originally built in the early 1800s, has had a difficult time, having been damaged by war and barge collisions over the years. It was modified in 1852, then closed completely by 1977. In 1979, another barge collision brought a good section of the bridge down. The rest was removed in 1980. The Institut de France is home of the famed Académie Française. The ad mural is covering some construction scaffolding on a nearby building. The current version of the bridge was rebuilt (I was a student in Paris for part of that time) and it re-opened in 1984. I've only known the current bridge, but I knew it before the "love lock" phenomenon took hold. I haven't been across it since the locks were removed and the new glass panel railings were added, but I have seen the result in photos (including these two of mine). It looks a lot better now. 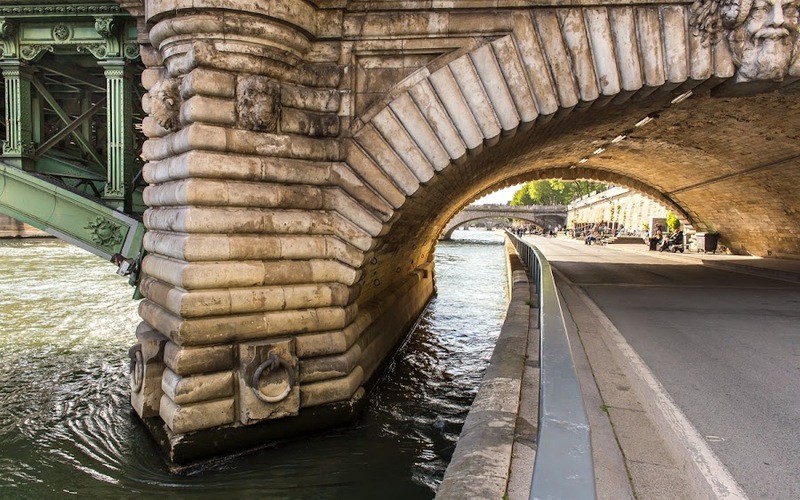 This is one of the piers of the Notre Dame Bridge that connects the right bank to the Ile de la Cité in central Paris. The current bridge dates from the late 19th/early 20th centuries. The word pont is French for bridge. I like the face in the upper right. Downstream is the Pont au Change, then the Pont Neuf. The piers on either end are masonry, but the central span is made of iron. I was surprised to read that one of the earlier bridges at this location collapsed in 1499 under the weight of the buildings that were constructed on top. Other versions of the bridge were damaged by floods and boats. The current version seems to be holding up just fine. 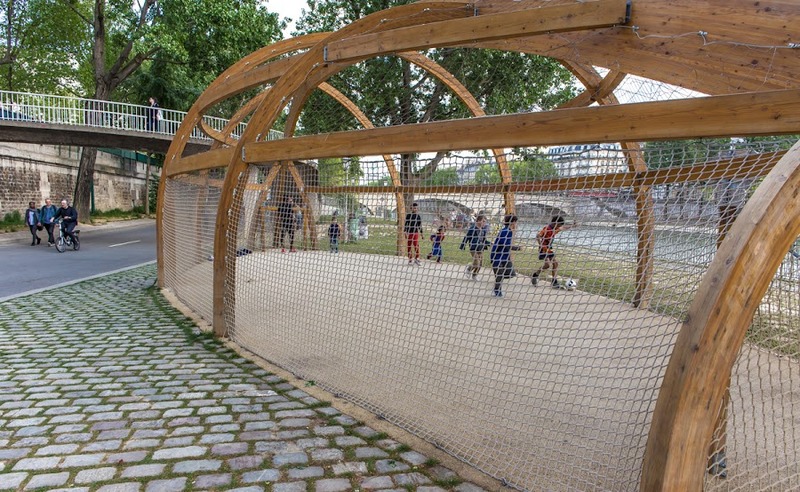 These kids were having a ball, literally, inside this little netted football field. What a great idea! No worries about losing the ball in the river! You can see, by the way, that the roadway that used to be choked with bumper-to-bumper traffic is still there. Although it's closed for now, it could easily be re-opened at some point. I like it better this way. 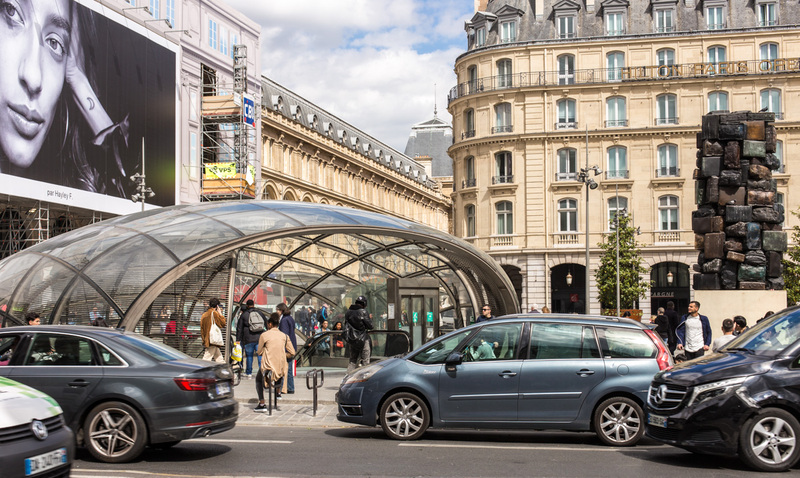 This is the Batobus, a river transit system with eight stops along the Seine in central Paris. The boat in this image is pulling in to the Hôtel de Ville (City Hall) stop. The service sells one- and two-day passes for unlimited rides and unlimited on/off privileges. It's a great way to get around and do some sightseeing at the same time. City Hall stop for the Batobus, the Louis-Philippe bridge, and the tip of the Ile Saint-Louis on the right. Ken and I rode the Batobus once or twice over the years. I didn't take it at all on this trip, but I did get to ride in a boat. More about that later on. 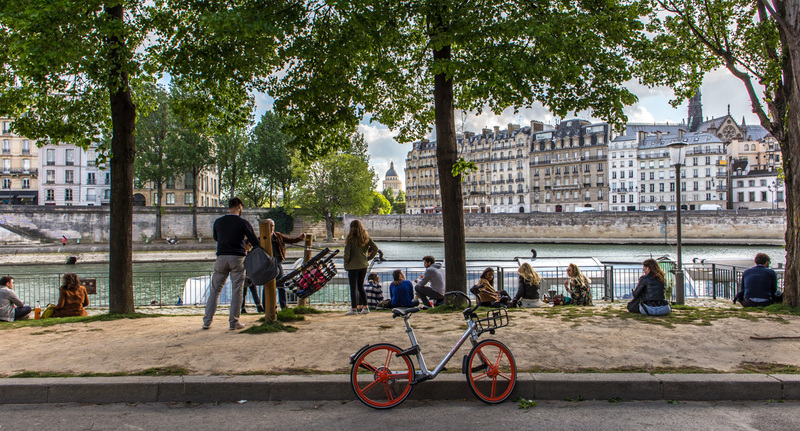 The biggest of the two islands in the Seine in central Paris is the Ile de la Cité and is the site of one of the city's most famous monuments. The cathedral of Notre Dame de Paris rises high above the other buildings on the island and its two towers and steeple can be seen for miles around. Notre Dame cathedral and the Ile de la Cité, seen from the right bank. The island is also home to a bustling flower market, the 13th century gothic Sainte-Chapelle, the Conciergerie where Marie Antoinette was held prior to her execution, and the intimate Place Dauphine on the island's western end. 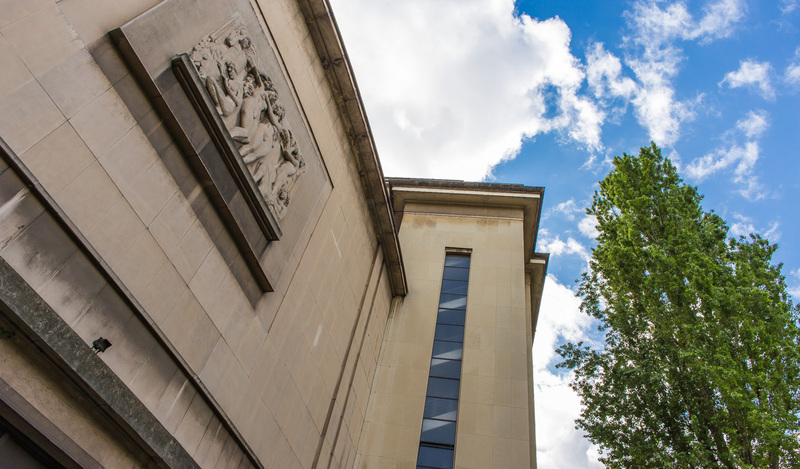 I recently learned that France's justice department is moving from its centuries-old location in the Palais de Justice (also on the island) to a more spacious and modern facility on the northern edge of Paris. From what I understand, the vacated historical buildings will be renovated and opened to public and tourist uses. 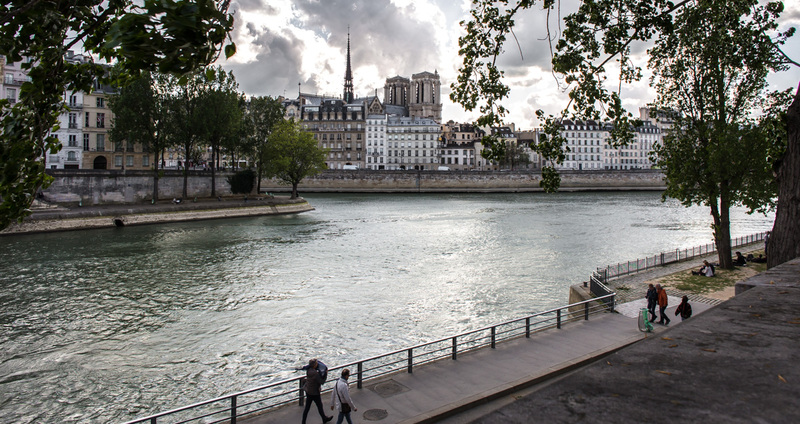 After my early dinner on Friday, I took a walk down to the Seine. I knew that the city had closed a portion of the old expressway that runs along the river bank and turned it into a pedestrian park. So when I got there I didn't hesitate to walk down and join the crowd. The cathedral of Notre Dame de Paris seen from the right bank, just before I went down to the river walk. It was Friday evening and the weather was decent, so I wasn't surprised to see how many people were walking, jogging, biking, and just hanging out. There were musicians here and there, and a café or two offered drinks. The is the ramp I walked down to get to the old expressway, now a riverside park. The views, of course, are classic. Notre Dame, the Conciergerie, famous bridges, and the Eiffel Tower off in the distance. I saw the Bateau-bus (river boat transit) and tour boats going by. It was a nice walk, so brace yourselves for a few days of the photos I took along the way. Many of you who know me know that pizza is one of my favorite food groups. When looking for a place to eat, I will always default to a pizzeria. And one of my favorites since the early '90s is this one on the Place du Bourg-Tibourg (4th arrondissement) in Paris. I was on my own for dinner on Friday night and decided that a pizza from Sant'Antonio would hit the spot. Sant'Antonio is the place with the orange awning. I sat in the far corner where you see the person walking. I got a seat on the terrasse. It was covered and the heat lamps were on, so it was quite comfortable, and it had a great view of the activity on the place. I ordered my standard pizza Reine (ham, mushrooms, and cheese) and some red wine. The restaurant was bustling, but not crowded, when I got there around 5pm. The view from a different angle. A lot of people park their motorcycles and bicycles along the street here. The pizza and wine (the house chianti) were delicious and after a coffee I was ready to walk some more. I headed down toward the river to where the right bank expressway had been closed and made into a pedestrian zone. A perfect place for a walk! 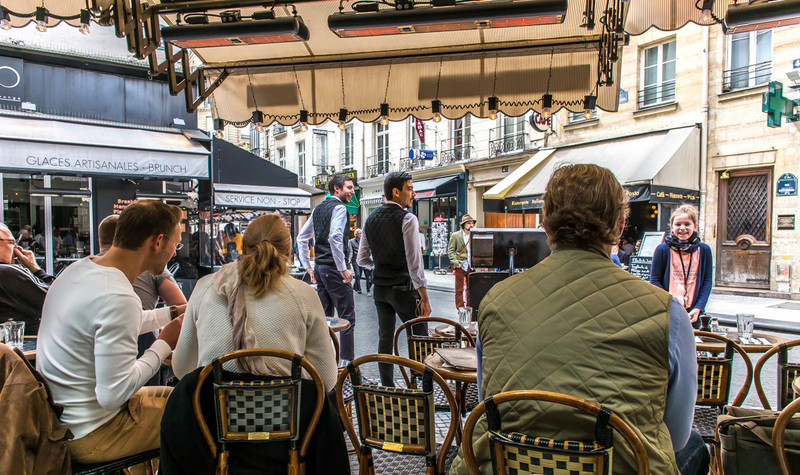 On my first afternoon, after checking into the hotel and getting settled, I went for a walk across town toward the Marais neighborhood where I knew I wanted to eat dinner. 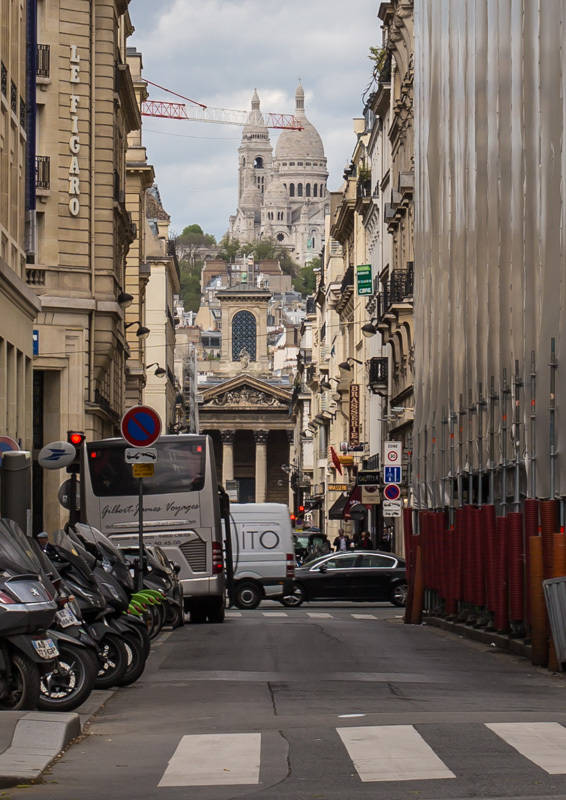 On the way was this glimpse of the Sacré Cœur church up in Montmartre. I've seen and photographed this view before, but what the heck. This time there's scaffolding and and a construction crane to make it interesting. 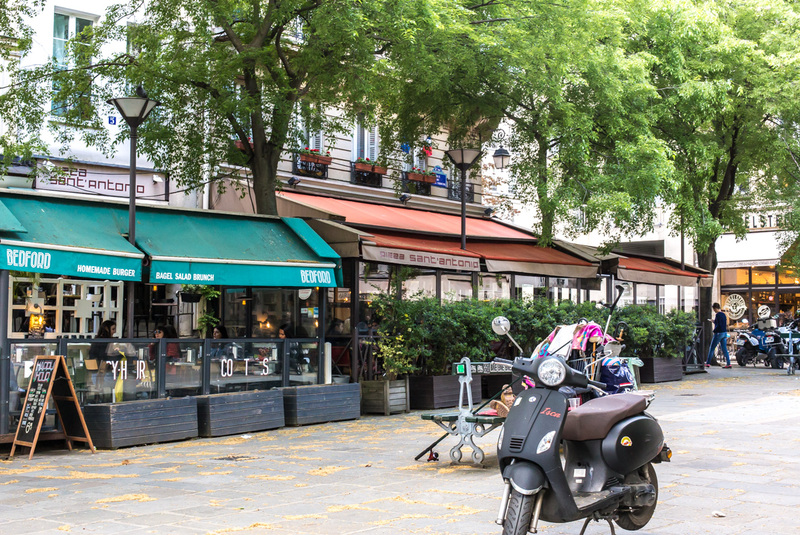 A more or less typical Parisian street scene. I'm looking up the rue Laffitte from the Boulevard des Italiens. The columned church you see at street level (below the white domes of Sacré Cœur) is called Notre Dame de Lorette. On this trip, I stayed in the Best Western "Le Swann" on the right bank, not far from the St.-Lazare train station. 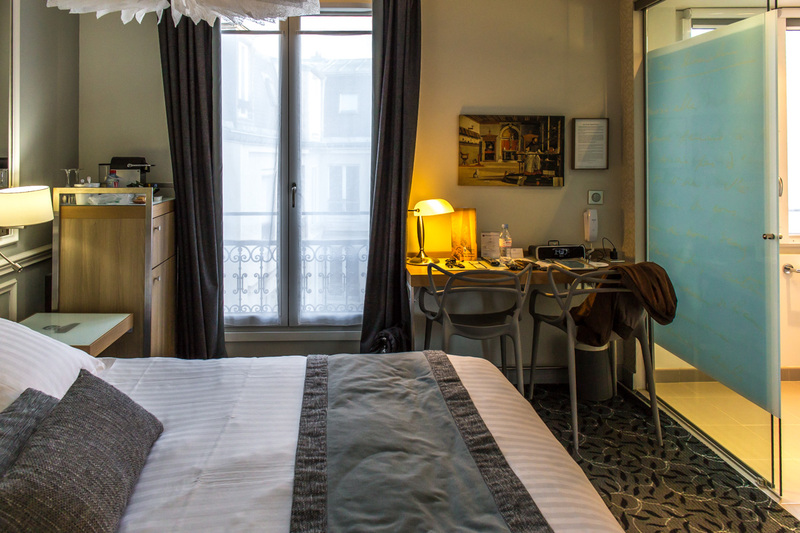 The hotel is a "literary" hotel and its theme is Marcel Proust, the famous French author. 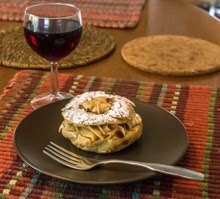 For those familiar with his most well-known work, "A la recherche du temps perdu," you might chuckle to know that there were two Madeleine cakes in the room when I arrived. The hotel's name, "Le Swann," is a reference to the first volume of the novel, "Du côté de chez Swann." The subway entrance at the recently renovated Saint-Lazare train station. Curiously, I took no photos of the hotel's exterior. But I did take a few shots of the room, which I found to be very comfortable. The place was well insulated for sound and at times I wondered if I was the only guest (I wasn't). Even though mine was a very quiet room on the sixth floor, each morning, between five and five-thirty, I could hear (and feel) the low rumble of the first subway trains rolling by below street level. My room. The big sliding glass panels separate the sleeping area from the bathroom. The big train station was downhill from the hotel, so most of the time I walked there to get to the métro (subway). But on the way back to the hotel I transferred at St.-Lazare and took another train one stop to the much closer Europe-Simone Veil station on the number 3 line. I was trying to take a picture of our little fig tree, but Tasha decided to get into the act. How could I resist? 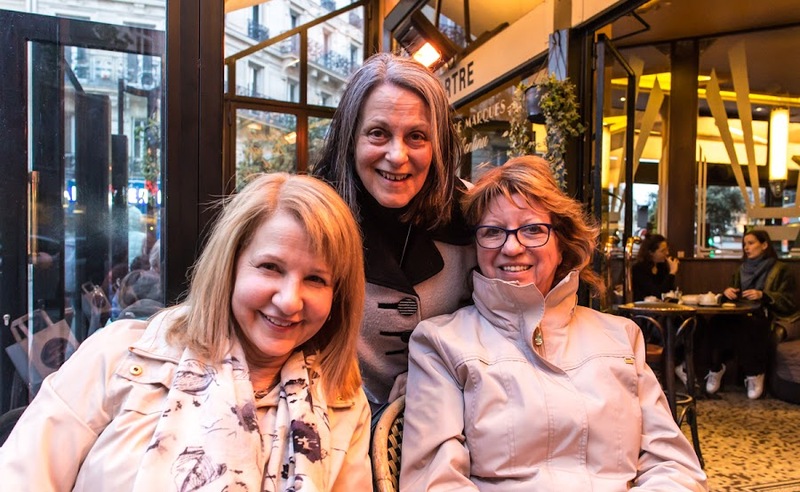 I've returned from my whirlwind Paris weekend and will start posting photos tomorrow. It was tons of fun, and it's nice to be back at home with Ken, Tasha, and Bert. 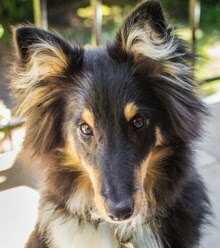 I didn't read any blogs (except for Ken's) while away, so I have some catching up to do. Monday was a miserable day, weather-wise. Cold, windy, and wet. 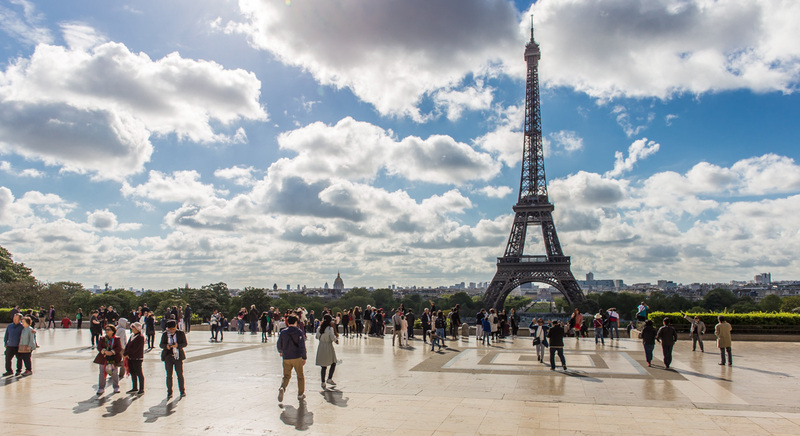 Today, May 1, is Labor Day and a national holiday in France.